Summer is here now and it’s obvious because the temperature is really unbearable. After the cold weather we have been experiencing I think it’s time for a change. And if you are thinking of a good business idea for this hot weather we are experiencing right now, why not try an ice scramble business? 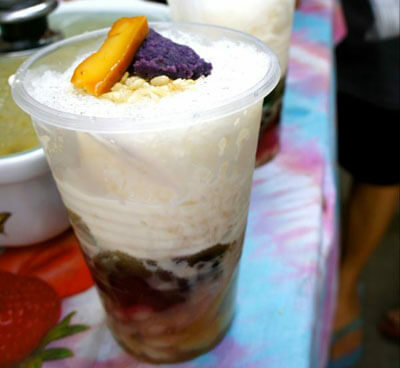 ice scramble is one of my favorite treats since my childhood days where I see a mobile ice scramble vendor riding on a tricycle bike while mixing his scramble using a plastic pail and holding it on the bottom. On his side was a big hand mixer attached to the roof of his tri-bike sidecar and after mixing the crushed ice, red syrup and skimmed milk the vendor skillfully mix his concoction. Those scenes are not common these days and what you see most of the time are franchised food carts and one of them is the ice scramble business. The cart package is very affordable and it comes complete with the ice crusher, box cooler, container for toppings and mixer. It is also a collapsible type so you can take it anywhere to sell your scramble. It is made of metal frame and wood sidings so it is rigid. And it will depend on you what concept you have in mind in combination with the scramble for example french fries and scramble, squid balls, kikiam and scramble or what ever you like to include on the utensils and equipment needed for the combo. Update as of Feb. 24, 2016: We no longer sell this scramble foodcart business. 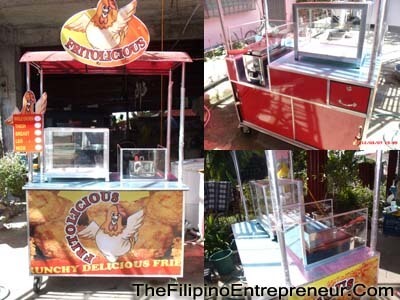 You can find food cart fabricators in olx.ph or facebook if you like to start a business like this. sir gusto ko sana i-avail ung foodcart na scramble and siomai. anong complete address or contact numbers para mapuntahan ko at magpagawa na rin. thank you very much . Hi! I woulds like to venture into a food cart business selling ice cream (soft served or frozen) couple with snacks like cookies, donuts, cupcakes, etc. Could you please assist me start the business with the least start up cost? Please email me the cost para dun sa siomai/scramble cart kasama young materials. Thanks. good day!! 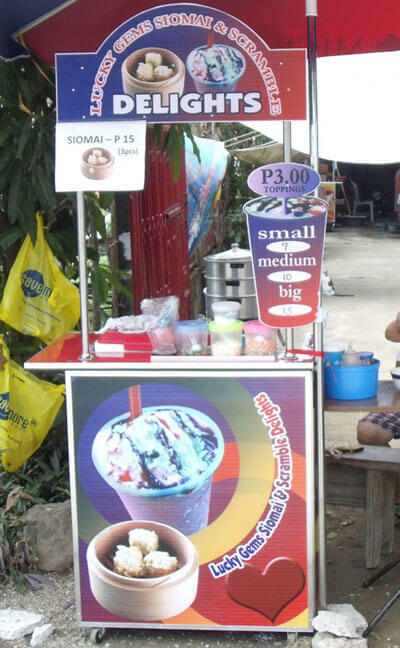 tatanong ko lng po if magkno ung package ng ice scramble and siomai or kikiam.. thankyou! how much po ung cart kikiam and scramble cart? Mga 25k po estimate ko. Magkadikit po ba yung kikiam at scramble sa iisang food cart? Are you referring to franchising of the food cart? 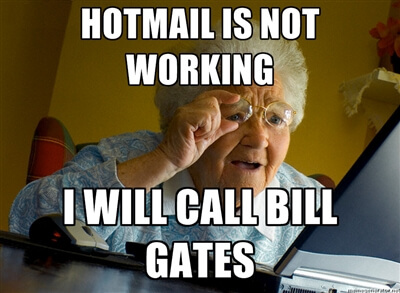 how long will it take from the application to the actual start of the business? i am really interested in your idea of scramble business as it requires little capital. i would really appreciate it if you could help me to get started in the business. i have no twitter acct, but my email ad is [email protected]; celfon #09278676268, 09205029959. i hope to buy from you the cart package as its affordable and saves me time and effort to prepare it.. many thanks.. Thanks for your interest. Where are u from? 17k including the food cart, ice crusher, cooler, hand mixer, toppings container and training.